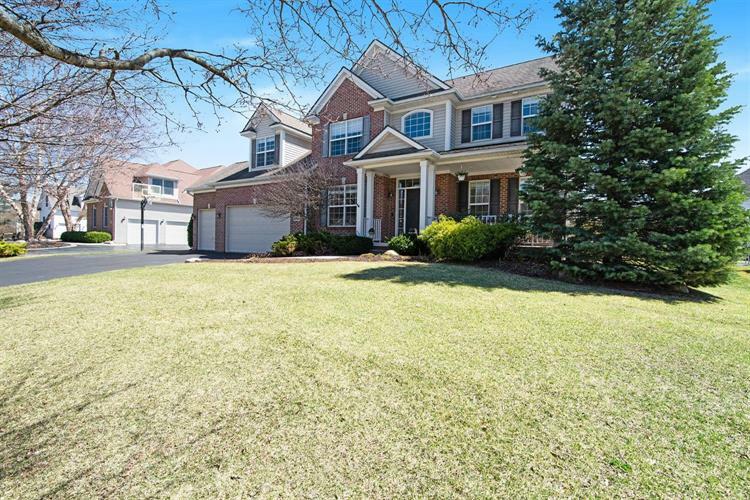 This gorgeous Arbor Meadows home sits in a great location, backing up to a common area featuring a pond and close to Huron Meadows Metropark, restaurants, and shopping, with easy access to freeways, and just a short commute to Ann Arbor. The home has 2, 763 sqft with 4 bedrooms and 2.5 bathrooms featuring an open floor plan with 9 foot ceilings and abundant windows allowing for great natural light. The main level of the home features a formal living room or home office, a great room with built-ins overlooking the yard, and an oversized kitchen with abundant cabinet and counter space, a spacious pantry, a breakfast bar, dine-in space, as well as a formal dining room. The spacious Master Suite features a tray ceiling, walk-in closet, and a luxurious bath with soaking tub. The large tiered deck off the kitchen makes a great outdoor entertaining space and the unfinished lower level is great for storage and has the potential to be finished to add additional living space, featuring an egress window and already plumbed for a bath. Additional highlights include the covered front porch, attached 3-car garage, 1st floor laundry with new washer and dryer, new HVAC system, water heater, water softener.